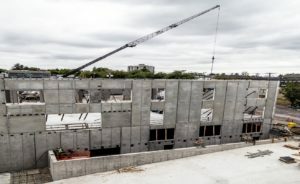 The construction site at IRONWORKS commercial real estate development is alive with activity and really taking shape. 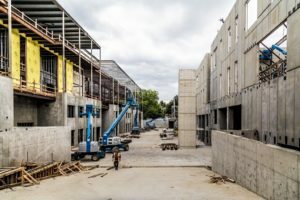 With the extensive progress on both the Pandora and Franklin buildings over the past months you can begin to imagine how the completed development will look. 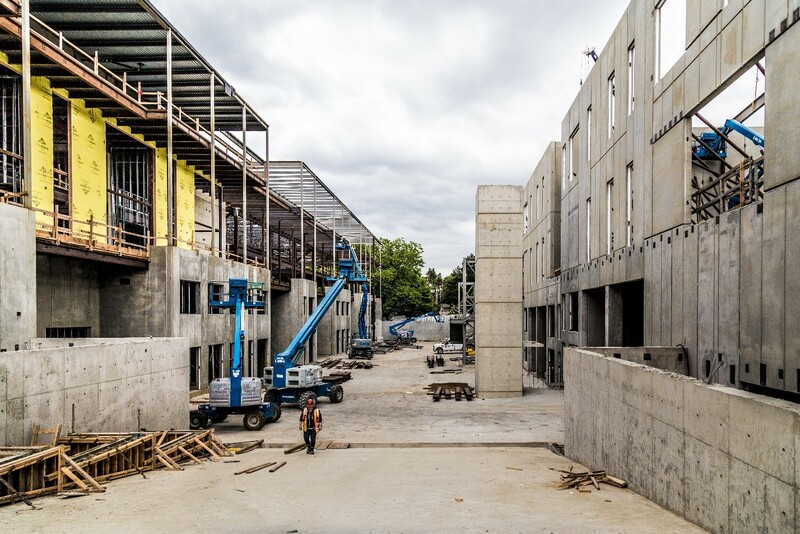 To the left, ground view of the mews/common area between the Pandora and Franklin Buildings. To the right, two Ventana workers finalizing the steel columns for the mews area. To the left, steel studs create defined spaces in the interior framing of the Pandora building. 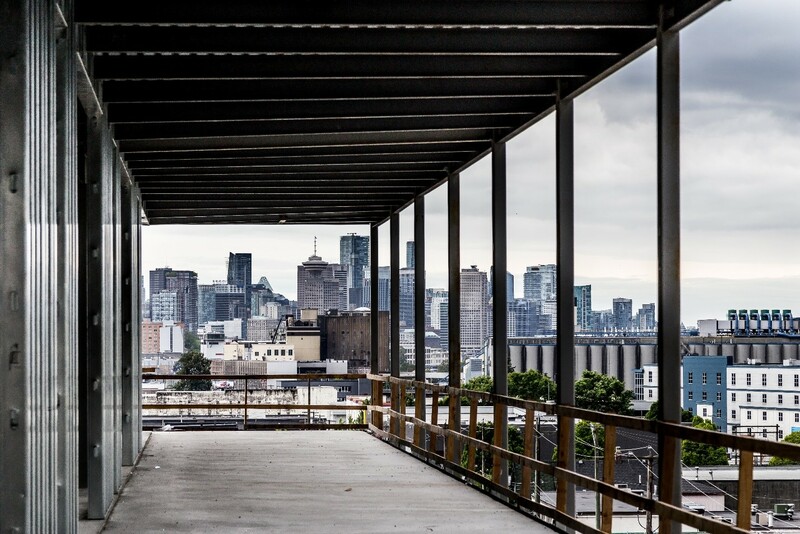 To the right, Eastern view of the beautiful downtown view from the third and top level of the Pandora building. Construction is ramping up on the northern Pandora building and the construction team is continuing to check major items off the list. 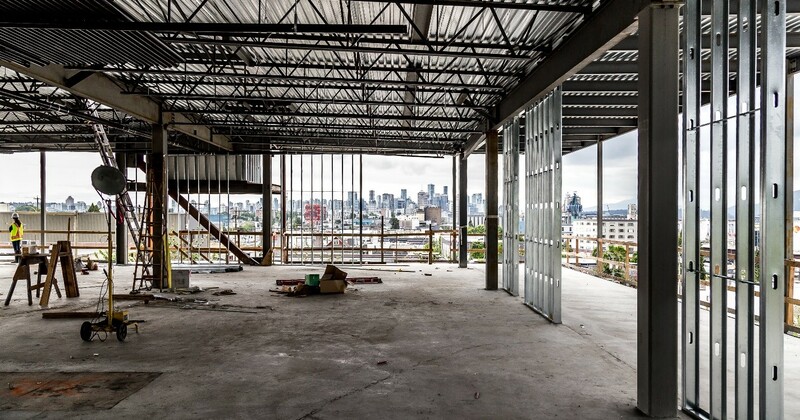 The interior parkade walls and columns are painted, and the glass panes, or glazing, have been installed. Another essential milestone has been achieved in the installation of the steel studs. 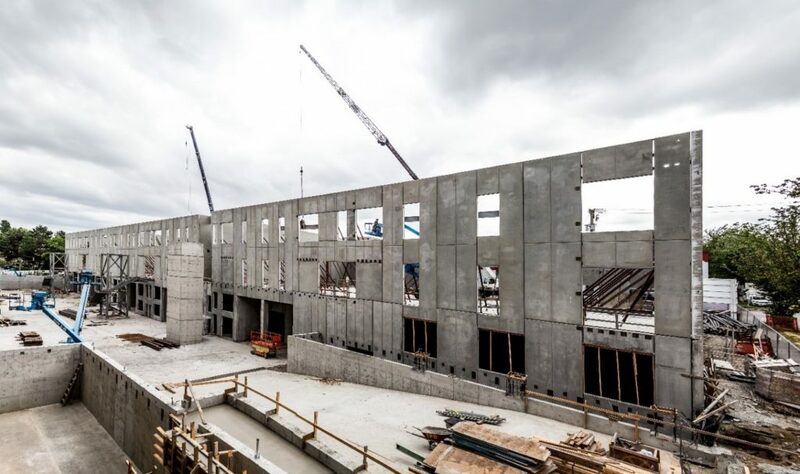 Steel studs are used to provide a framework for the interior of the structure and specifically, help to ensure proper spacing for the layout of the development. In addition to the accomplishments made to the interior of the structure, we have substantially completed the roof on the Pandora building. 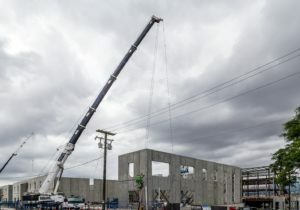 Concrete frame exterior of the Franklin building within the Ironworks development, and crane holding the concrete panel stationary as it is set in place in the Franklin building. 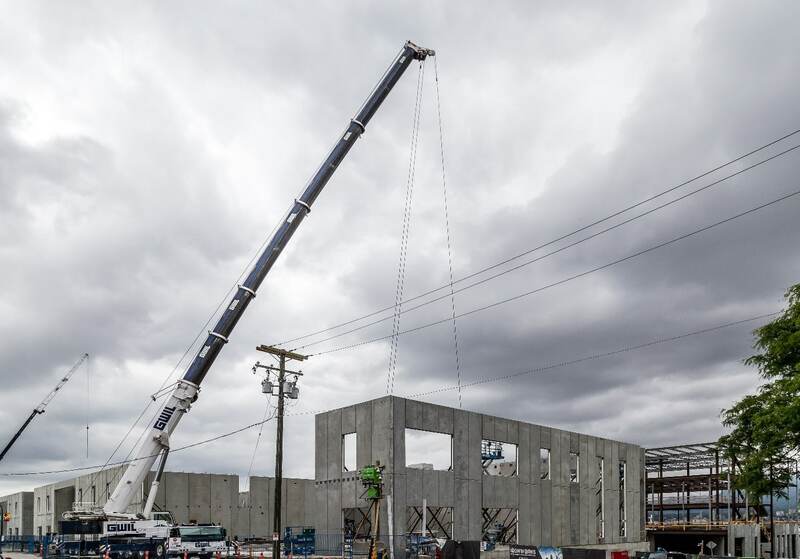 Similar to the Pandora building, work on the southern Franklin building has been constant and construction is progressing quickly. The decking of the roof is now complete. 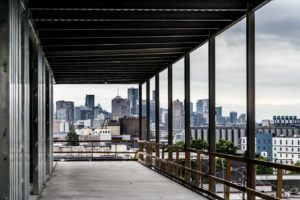 This process is one of the most vital steps in the construction of a multi-storey development as the entire roofing system is dependent on the decking. The next milestone for the Franklin building will be the pre-cast wall panel assembly followed by the formation of the steel structure. 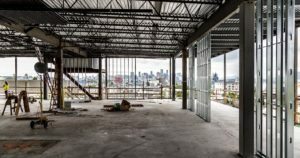 Excitement is growing as the Ironworks commercial real estate development progresses through each stage of construction making East Vancouver’s up-and-coming stacked, multi-use building a sight to see. We can’t wait to share the next update!